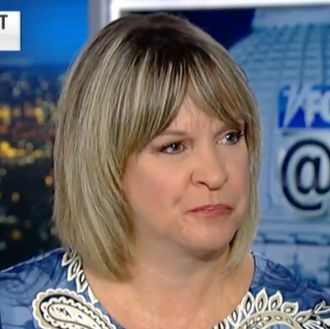 Late on Wednesday night, Fox News aired a lengthy interview with Paula Duncan, the first juror in Paul Manafort’s trial to go public. Duncan, 52, identified herself as a strong supporter of President Trump, saying she kept a Make America Great Again hat in the backseat of her car as she drove to the trial, and plans to vote for Trump again in 2020. However, Duncan said she became convinced that Manafort was guilty on all 18 counts of bank and tax fraud, and almost the entire jury agreed; she revealed that the jury deadlocked on ten of the counts due to a single juror. Duncan initially said she felt the case was “politicized” because “in the evidence there were references to Trump and his son-in-law and to the Trump campaign.” She also referred to Special Counsel Robert Mueller’s investigation as the “witch hunt to try to find Russian collusion,” borrowing Trump’s phrasing, and noted that Manafort wouldn’t have been caught if not for his ties to the president. “Something that went through my mind is, this should have been a tax audit,” Duncan said. However, she said she felt all of the jurors tried to consider the evidence fairly, regardless of their political leanings, and “crazily enough, there were even tears” during deliberations. Earlier on Wednesday, unsealed transcripts in the case revealed that there were tensions on the jury, and the defense requested a mistrial several times. About two weeks ago, a female juror reported that another juror had commented “the defense was weak,” though they were barred from discussing the case before deliberations. Judge T.S. Ellis III interviewed all of the jurors, and everyone except the woman who initially complained said they were following all of his instructions. Duncan said it was difficult not to discuss the case with other jurors while they waited around for the proceedings to get underway, but they followed the rules and did their civil duty. While the judge kept the jurors’ names under seal to protect them, Duncan said she does not feel threatened and wanted to shed light on the case.